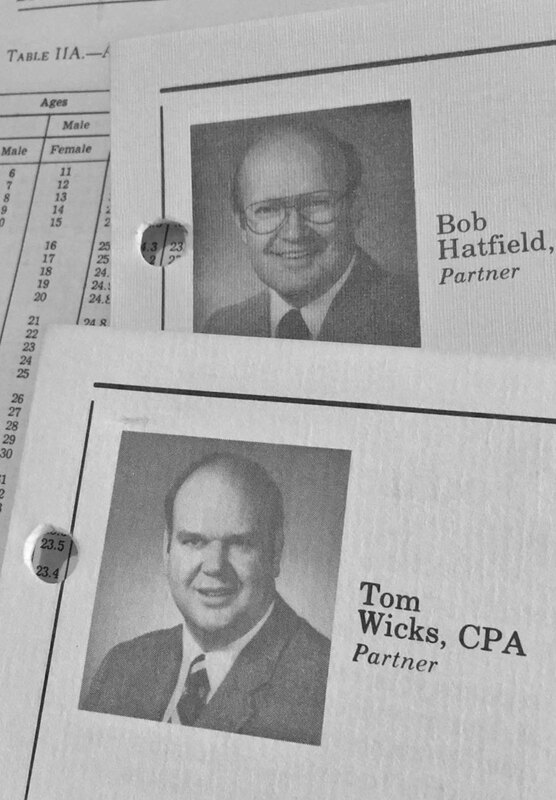 A leading accounting firm in Douglas County for nearly 50 years, Wicks Emmett LLP’s early history begins in 1964. After Tom Wicks and his wife graduated from college, the young couple moved to Roseburg, where Tom went to work for a fledgling accounting firm with offices in Eugene and Roseburg. With just two CPA partners and two bookkeepers – one pair at each location – the practice, which was located in the south side of town, was a small one. Big things, however, were on the horizon. In 1968, the two partners parted ways, and the Roseburg practice was sold to Tom. Shortly thereafter, he formed T.R. Wicks and Company and relocated his offices to a downtown space on Jackson Street. 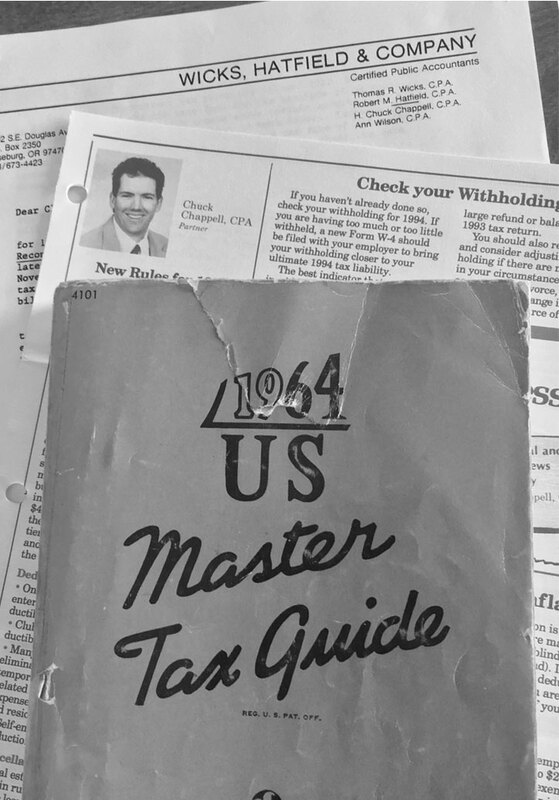 Over the next decade, Tom grew his team of accountants, first adding CPAs Dolores Semper and Bob Hatfield, who eventually became the firm’s earliest partners in 1978. That same year, the company moved to a larger space at the corner of Douglas and Fowler to accommodate their increasing staff. 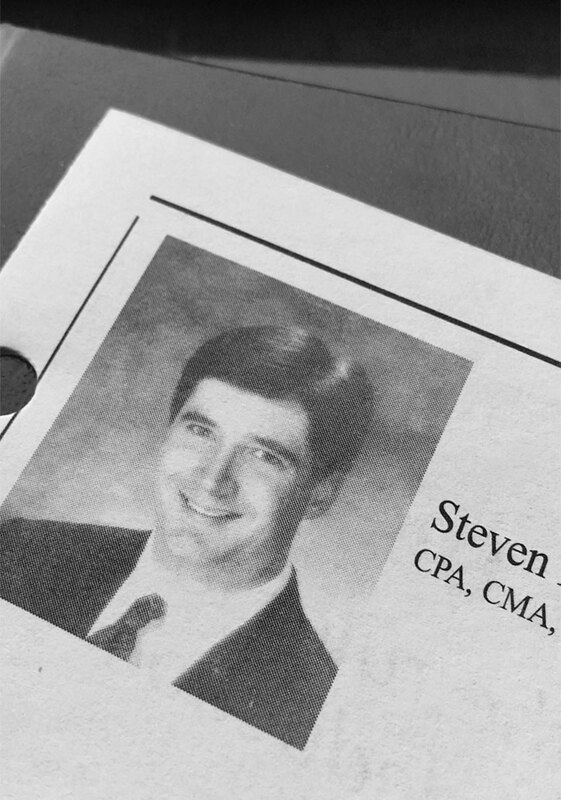 In 1989, Chuck Chappell joined the firm and became a partner in 1991. He brought with him a client base grounded in the medical field, reflecting the changing business landscape in the formerly logging-centered community. T.R. Wicks and Co. changed its name to Wicks Hatfield and Chappell, and it remained that way for nearly a decade. The firm’s next milestone came in 1999. Wicks Hatfield and Chappell brought aboard David Emmett, an established CPA who had been practicing in Roseburg for 25 years. The two interests merged, and the newly named Wicks Emmett Hatfield and Chappell moved to its current location on Winchester Street in 2000. The partners shortened the firm’s name to Wicks Emmett LLP in 2009, and the company now employs more than 30 accountants, bookkeepers and support staff. As partners and accountants have joined the team over the past 48-plus years, the firm’s expertise and areas of specialty have multiplied. Wicks Emmett LLP now offers a full complement of accounting services, from individual tax preparation to contract CFO consulting and everything in between. 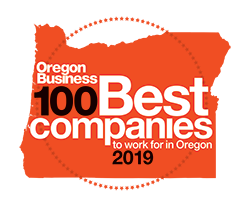 Wicks Emmett LLP has come a long way since its humble beginnings 48 years ago, yet it remains ever nimble and responsive to the changing business climate in the southern Oregon area.